1 PayZapp TimesPrime Cashback Offer. 2.5 How to avail the offer? 1. Save Rs.250 On Big Basket, BMS Etc. A Times Internet Ltd. product, Times Prime membership is a premium membership program that allows you to access amazing memberships like Gourmet Passport by Dineout, Gaana Plus & TOI Plus along with countless benefits on other brand partners like Uber, PVR, UberEats, ixigo, 1mg, redBus, Canvas Laugh Club, Insider and 20+ more brands with a 30 Day Free Trial and an annual membership for just Rs.999. You can save more than Rs. 10,000 every month with Times Prime. Annual cost only Rs. 999/-. Visit www.timesprime.com to avail all benefits. For queries regarding Times Prime benefits and offers please contact support@timesprime.com. Offer 1: First 1000 customers will get 50% CashBack upto Rs 500 if transaction amount is Rs. 999. Offer 2: First 50,000 customers get 30% CashBack* upto Rs 300 on Purchases of Times Prime Annual Membership via PayZapp. Both offers cannot be combined. 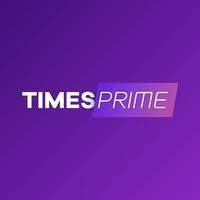 Annual Membership Purchase needs to be made on Times Prime website. Customer shall get CashBack in PayZapp prepaid card within 30 working days of the transaction. Customers must login with their PayZapp registered mobile no. and transact, to be eligible for CashBack. Customers not logging with their PayZapp Registered mobile no. are not be eligible for CashBack. Customers doing a “Guest Checkout” are not eligible for CashBack. Customer should be a KYC verified customer throughout the offer period i.e. during the time of transaction in order to be eligible for CashBack as well as at the time of receipt of Cashback. Customers who are not KYC verified at the time of transaction shall not be eligible for CashBack. Customers need to have an active PayZapp Prepaid card for successful receipt of CashBack. Customers not having an active PayZapp Prepaid card are not eligible for CashBack. Customer having 1 Lac Prepaid Card (Full KYC) will be eligible for CashBack basis offer terms & Conditions and can use it for all Prepaid Card transactions. Qualified Customer has to transact using his/her PayZapp account on Times Prime website. In the event orders are cancelled by Times Prime or by customer, the customer will not be eligible for the cashback. The Cashback amount will be calculated on the net transaction value. Pictures of products shown in the communication sent to the customer either through mailers or advertised on our website, are representative only and may not bear a resemblance to the actual products. Bank/Merchant shall under no circumstances be responsible towards the same. HDFC Bank shall not be liable to the quality of goods & services availed by the customers. Both the parties reserve the right to modify, withdraw or discontinue the Offer without assigning any reasons whatsoever. Neither anything contained in these terms and conditions, nor shall running this Offer be construed as an obligation on the Bank to continue the Offer up to the termination/expiry date. Under no circumstance will the offer/discount being offered under this Program be settled with cash in lieu by Bank or by Merchant. The Offer shall not be available wherever it is prohibited under law and/or cannot be made for any reason whatsoever.